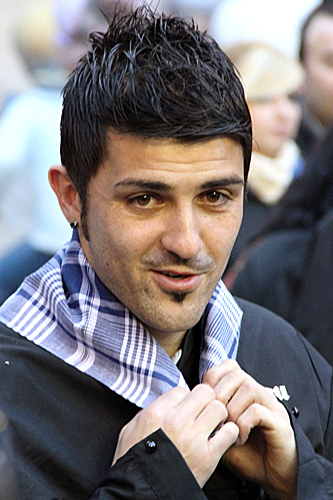 I was THIS close to David Villa!! If I stuck out my arm I could have touched him! 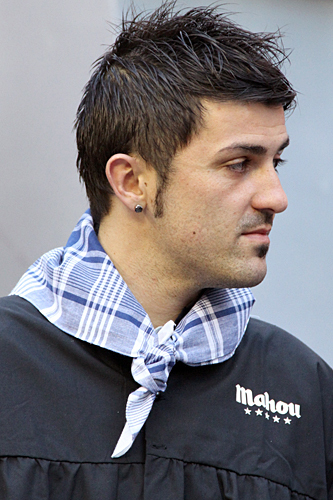 David Villa graced the Plaza de Pilar with his presence today for the Plantà — Mahou beer sponsored him to come out and help set up a couple of the pieces. I just stood there, along with the rest of his crazed fans, screaming and crying and peeing myself. Yeah, I was a mess, but at least I didn’t leap upon his back like a monkey and cover his head with kisses — and I was seriously thinking about it.